Dallas and all of it’s surrounding areas are served by 8 specialized Dallas VA Realtors that can help connect you with your dream home using your Texas VA home loan. USVA Realty places a special emphasis on Dallas County not only because it’s the state’s third largest city, but because it has over 110,000 veterans living there. USVA Realty is in business to help US veterans find and buy their dream homes. Most all of our clients are first time home buyers, so we are experts at answering all your questions about buying a home and we are happy to do so. All of our Dallas military Realtors are experts at understanding your needs and negotiating you the best price possible on your new home. We work for you. When you press the “get started” button on this page, a new page will appear with a form to provide your information. Once you send us your information a VA specialist will call you the same day to get you set up with your Dallas VA Realtor. While we are on the phone, let us know if you need help getting your VA home loan started. We will have a VA approved lender call you to get the ball rolling. Your Dallas VA mortgage can be used to purchase an existing home, a newly constructed home or a Condo that’s approved by the VA. Our affiliate Realtors have access to every home and condo listing available in the Dallas area MLS. Once you have decided on your perfect home, it will take between 30 to 45 days to close the VA loan on average. 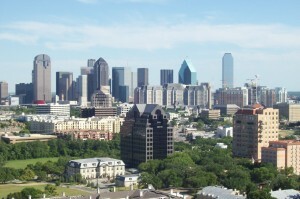 We cover all of Dallas and its outlying suburb areas. USVA Realty provides services to veterans as far North as Frisco, as far South as Waxahachie, and from Mesquite to Arlington.